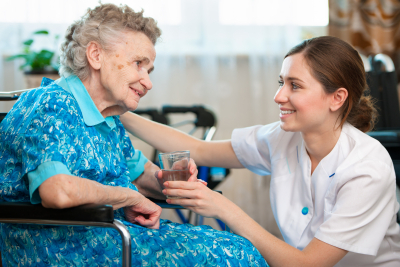 When you are looking for exceptional home care services, there is a wide range of aspects that you will want to keep in mind. This is because no home care agency is made equally. Some are going to be better for your particular situation because some offer better services, flexible schedules, and a higher quality of care. To ensure that you can find the best services for you, it is important to take your time and do your research. One of the first things that you will want to keep in mind when looking for good home care services, is their reputation. There are a number of ways to determine this, but one of the best is through online reviews. By reading these reviews, you can get a good idea of a particular agency’s reputation and the quality of what they are providing. These reviews are also written by both previous and current clients, so their first-hand account can make a big difference. Not all home care agencies offer the same services. For this reason, it is important to find an agency that can accommodate you. There are a number of ways you can do this but the easiest is by checking out their website. From here you can learn a lot of things, such as the services they offer, their schedules, and the type of payment plans they provide. Not all home care agencies offer the same kind of schedules. For example, some agencies offer flexible schedules, while others offer fixed schedules. Depending on your needs, this is something that you will want to pay close attention to. For example, if you are looking for a home care agency that can assist you around-the-clock, you will need to double check with that care provider. Those are just a few of the many things that you will want to keep in mind when it comes down to finding the very best home care services. If you would like to find out more about finding a good agency or about our services, please feel free to get in touch with us at Lowenhill Home Care Services for more information anytime.